Italian language enjoys a close connection with music. All the tempo and dynamics indications are in Italian (Allegro, Adagio, crescendo, etc.) wherever they were written. But language was also the reason that allowed Italy to be the motherland of singing and Opera. Italian language, with its many vowels and no oxytones, was the ideal baby cot that allowed the flourish of singing. Lyric Opera has its roots in the Renaissance with the “Camerata de’ Bardi” (a group of intellectuals and artists, active in Florence, who tried to recreate the storytelling of the Greek drama) and the first work considered to be an Opera is Jacopo Peri's (1561–1633) Dafne (1597). Right after that, during the Baroque era, Opera divided in two main types: “Opera seria” (dramatic or tragic subject) and “Opera buffa” (comedy). In 1637, in Venice, un opera for the first time is performed in a public theater. From the second part of the 17th century Italy produce d important regional sc hools like the “Scuola veneziana”, the “Scuola romana”, and the “Scuola napoletana”, which was leader throughout Europe and practically the creator of the “Opera buffa”, which ceased to assume only the role of “intermezzo” of the “Opera seria” and became, in the course of the 18th century, a genre in its own right. In the eighteenth century Naples became the center of the Opera and Italy became the center of gravity of opera production. Abroad, in the courts and theaters, the Italian style of the Opera (not only the language but also the dramaturgy and vocal style) sets the rules. “Naples is Europe’s musical capital, that means of the whole world” (Charles de Brosses, Lettres familières écrites d’Italie en 1739 et 1740). Among the members of the so-called “Neapolitan School” there are composers such as Alessandro Scarlatti, Niccolò Porpora, Leonardo Leo, Giovan Battista Pergolesi, Nicolò Piccinini, Giovanni Paisiello, Domenico Cimarosa and many others. The San Carlo Theater is the oldest continuously active venue for public Opera in the world. “Cours, vol à Naples écouter les chefs-d’œuvre de Leo, de Durante, de Jommelli, de Pergolèse!” (“Hurry, fly to Naples to listen to the masterworks of Leo, Durante, Jommelli, Pergolesi!”), writes Jean-Jacques Rousseau in his “Dictionnaire de Musique”. Naples, Rome and Venice were an incomparable network of production and request of music, a real musical industry of the Baroque era. That’s the reason for generating and attracting the best talents of the time, often contended by the most important courts of Europe. The Italian style influenced strongly many important foreign composers, particularly Germans like Handel (who lived and wrote Italian opera in England), Hasse, Hassler, etc. Mozart and Gluck were famous composers of opera in the Italian style. The first collaborated strictly with two important Italian poets: Pietro Metastasio and Lorenzo Da Ponte. At the end of the 18th century broke into the scenes Gioacchino Rossini’s genius, transforming the “Opera buffa” with its unique, particular style. 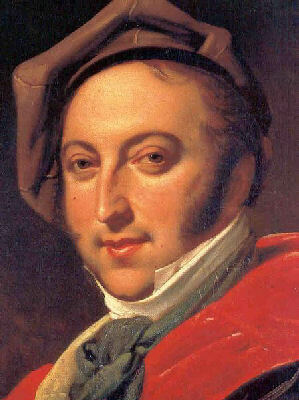 Gioacchino Rossini (1792-1868) was the last member of the classicism but not yet a romantic. He wrote great “concertati” characterized by his rythmic energy and some sort of “organized madness” (as Stendhal called it). When the audiences's tastes turned towards a more dramatic and strong singing he interrupted his musical production and retired. 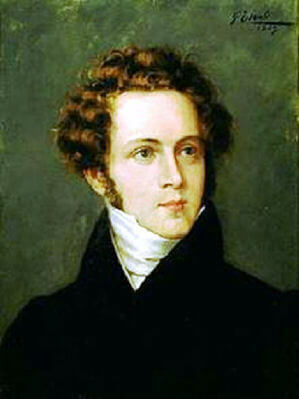 Vincenzo Bellini (1801-1835) was reaching a huge fame and he would have probably become the first Opera composer of his times if he did not die so young at 34. In just 10 years (from 1825 to 1835) he rushed to the top of the operatic success, from the first representation at Naples San Carlo Theater of his first work “Bianca e Fernando” to the last one “I puritani”. In the middle stands “Norma”, his masterwork. In 1831 he meets Giuditta Pasta, a myth among Italian singers, and the one to bring first “Norma” to success. Bellini was the italian who most influenced Chopin's writing: the Op.9 n.2 nocturne is written as an accompanied Bellini's aria. Chopin wrote also a piece on an opera by Bellini (variations on “I puritani”). 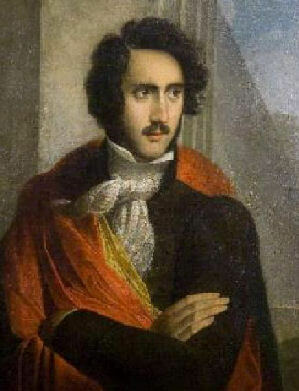 Gaetano Donizetti (1797-1848), was renamed “Dozzinetti”, an untranslatabke joke for “cheesy” and “dozens”, due to the fact that he had a great easyness in writing music. He imported in Italian Opera a simphonyc texture in the accompaniment and enjoyed a great European success. Donizetti was appointed Vienna Court composer: the same office earlier occupied by Mozart. His masterpiece is “Lucia di Lammermoor” (Naples 1835), with its famous “mad scene”. It tells of a girl who loses her mind because, for political reasons, she is forced to marry a man she didn't love. The crucial moment of the opera is the aforementioned scene of madness, in which the the delirium of the protagonist is manifested in a convulsive and acrobatic song that seems to want to go beyond the limits of human possibilities. 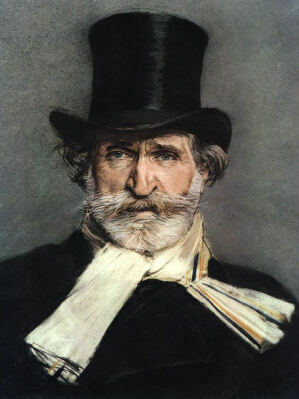 Then the great season of Italian Opera reaches its height, with Giuseppe Verdi (1813-1901) who dominates the scene for most half a century, unique and unreachable. The founding principles of Verdi's theater are the realistic depiction of man and his passions (what the composer called “inventing the true”) and brevity. What counts is the situation, the immediate dramatic effect produced by music; the heart of the action must be reached soon, without too much lost in artificial versifications. When he was 80 years old concluded his career with an “opera buffa”, “Falstaff”: it was 1893. 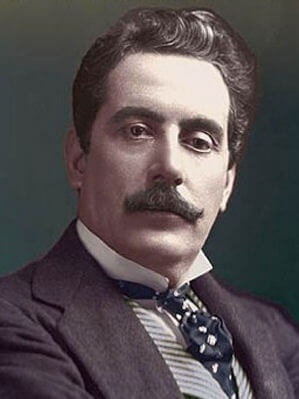 The most important composer of the generation after Verdi was Giacomo Puccini (1858-1924). His beginning works were composed in the romantic style but already with some elements that connected him to the verism. It is with Bohème that he built up his own unmistakable style, detached from Verdi's romantic opera and less rude than verism. His other masterworks are “Manon Lescaut”, “Tosca”, “Madama Butterfly” and “Turandot”, with its worldwide famous tenor aria “Nessun dorma”. The story of “Tosca” takes place in Rome, at the time of the fall of the first Roman Republic on a precise date: Saturday, June 14, 1800, the day of the Battle of Marengo. The first act of “Tosca” is set in the church of Sant'Andrea della Valle, the second in Palazzo Farnese and the third in Castel Sant'Angelo. Because of the Roman setting, the publisher Giulio Ricordi organized the first performance at the Teatro Costanzi, the Rome Opera House. But Tosca's pemiere was disturbed because of many warnings of an anarchist bombing of the theater, and the set date for the performance had to be postponed by one day. It was performed on January 14th 1900: it was a national event with the Italian queen Margherita to attend it, together with many personalities in every field of national life. Though being passed over for the premiere the young Enrico Caruso would have become a protagonist of the subsequent performances at the Metropolitan Opera House in New York. Italian opera life's path went on with the “verismo”, whose champions were Pietro Mascagni (1863-1945 ), Ruggero Leoncavallo (1857-1919), Umberto Giordano (1867-1948) and Francesco Cilea (1866-1950). 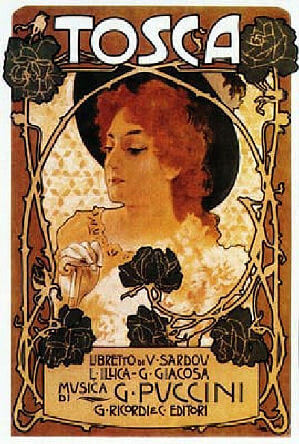 Mascagni's masterwork, “Cavalleria rusticana”, was premiered at Teatro Costanzi in Rome in 1890. The subject is from a Giovanni Verga's novel published in 1880. The first performance enjoyed huge success with Mascagni taking 40 curtain calls and ensuring himself economic prosperity for the rest of his life. Leoncavallo's father was judge in a small town where occurred a murdering due to romantic entanglements. “Pagliacci”, his masterwork, was premiered in Milan in 1892. It enjoyed immediate success with the audiences. Its most famous aria “Vesti la giubba” was performed in Woody Allen's movie “To Rome with love”. Our concert Opera Greatest Hits in Rome, Top Rated by Tripadvisor, covers a wide array of well-known opera classics. Very famous arias and duets from opera greats, like Verdi, Puccini, Rossini, Donizetti, Bellini will sound between walls of our intimate hall in which the musicians are just feet from the audience.